Most scholarships require students to write an essay, but a recent contest put on by the OCCC Social Sciences Department only required students to guess 12 historical objects and their purpose. History professor Leslie Jones said 14 students participated and one student won a three-hour tuition waiver. The three students with the most correct answers were put in a hat, and the winner was drawn. Natalie Flaming, psychology major, won the contest, and guessed 11 correct answers. Flaming said she had fun figuring out all of the answers and used her friends and family as resources. “I asked some of my friends, too. I know a lot of farmers, so for some reason, they know a lot about most of the things in there. My husband’s an old farm boy too, so that helps, but I do recognize some of the things myself,” she said. She said the contest was a creative idea and allowed her to participate in a hands-on activity instead of what she would traditionally do for a scholarship. “It’s a great way to learn some history, because I learned a lot just looking through that stuff, so it was a really interesting challenge and much different than a normal ‘write an essay’ scholarship. It was a lot more interactive,” Flaming said. Flaming was not the only student to get heavily involved in the contest. Jones said at one point, many students were gathered around the case, and she was surprised at how interested they were. “It was fun. We had several students, at one time, were camped out around the cabinet trying to figure it out. 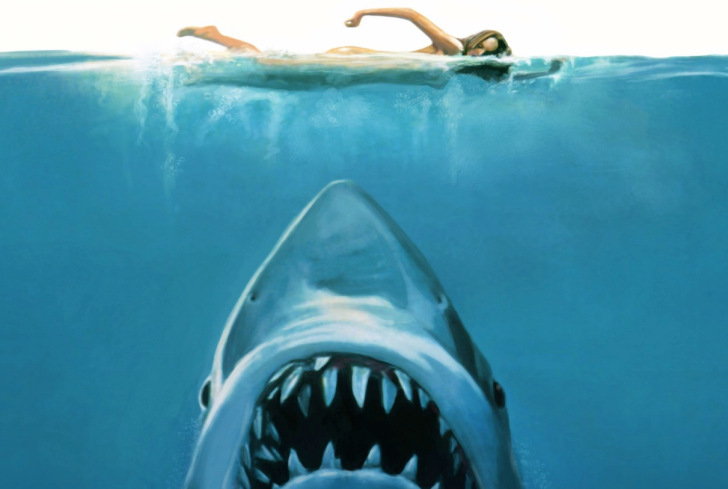 I had students begging me to tell them and then several taking pictures of them…,” Jones said. 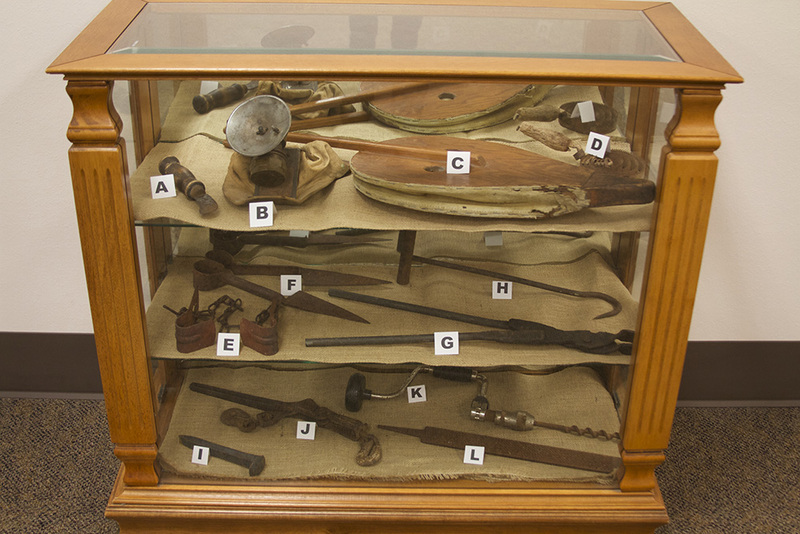 A broom corn knife, a miner’s hat, bellows, a curry comb, cow hobblers, sheep shearers, blacksmith tongs, a hay hook, a railroad spike, boomer/come along, a hand drill and a rasp were all displayed in a glass case located in the Social Sciences building for two weeks. Students were able to stop by the office, get a form, and start guessing. 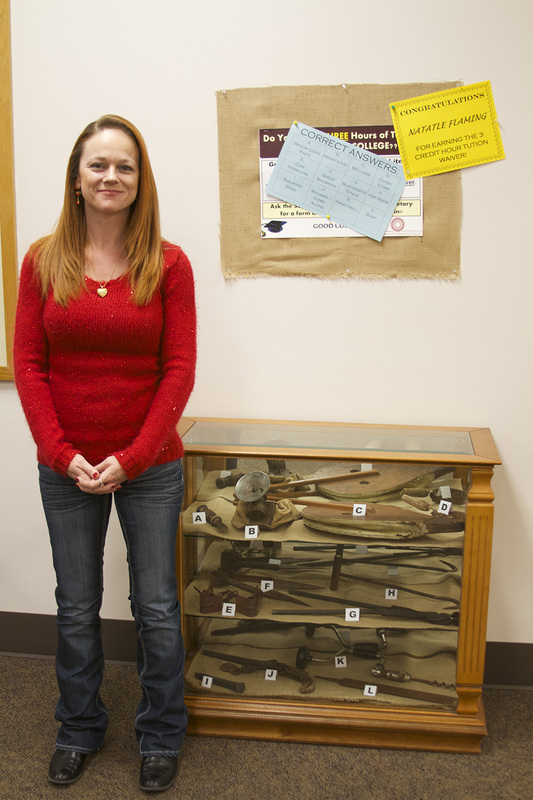 Students were able to guess all of them, except for one – the broom corn knife, Jones said. “We had 14 students give it a shot and then Natalie Flaming was the winning student and she was able to guess all but ‘A’, so that was really impressive that she was able to state the purpose, because when I put these in here, I didn’t know what some of them were and I had to find out what they were,” Jones said. Jones said the idea for the contest started when she and History Professor Ray McCullar were trying to come up with a creative way to use the glass case. They both wanted to get students involved, and thought adding an incentive would be a great way to do so. “We were just discussing tuition waivers and then it kind of just came together. We’re bouncing around ideas for next semester to see what we’re going to do. I’m always going to antique stores to see if I can find historical things that are bizarre,” she said. Because of the success and student involvement, Jones said this is only the first of many contests that will be offered by the Social Sciences Department, and other departments may even start their own. For more information, contact Jones at 405-682-7298 or by email at ljones@occc.edu.